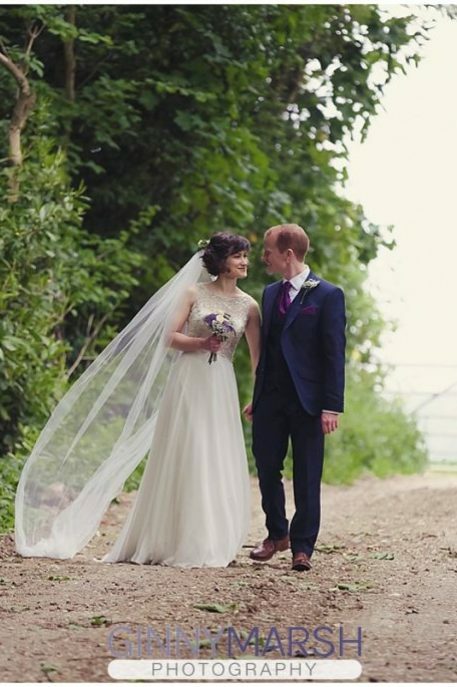 Matt and Helen met at university in their third year of medical school and are both doctors. 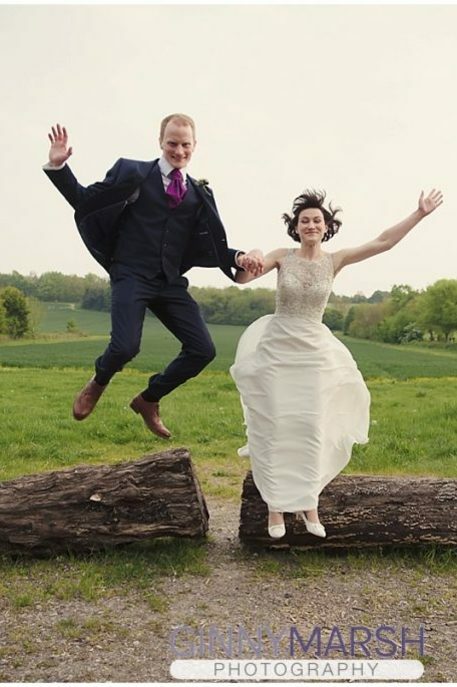 They both love the outdoors, travelling and hiking up mountains! 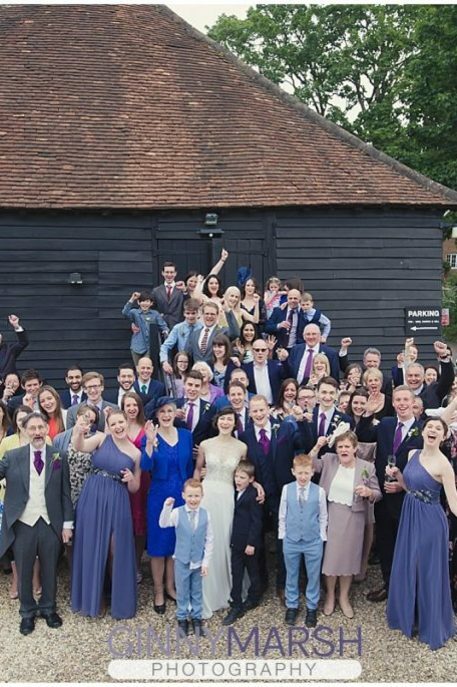 Hence why they chose a typical and relaxed barn dance wedding. 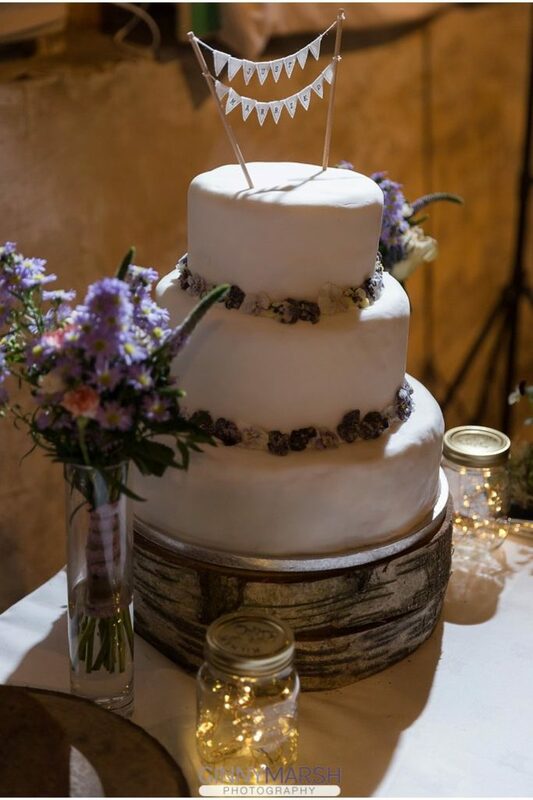 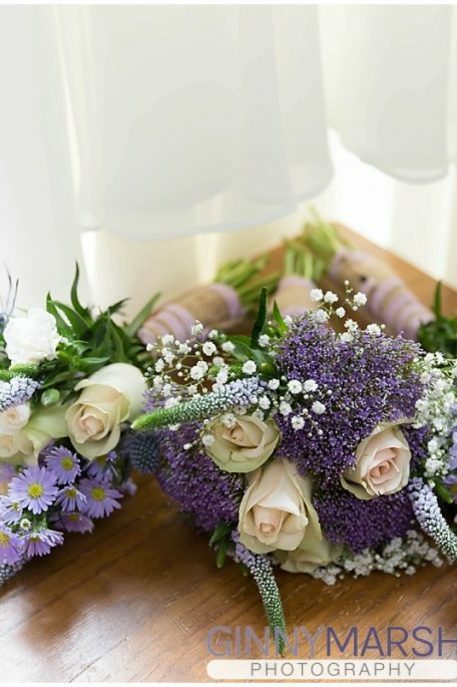 Music loving couple Helen and Matt had a rustic style wedding with touches of purple and lots of pretty pastels. 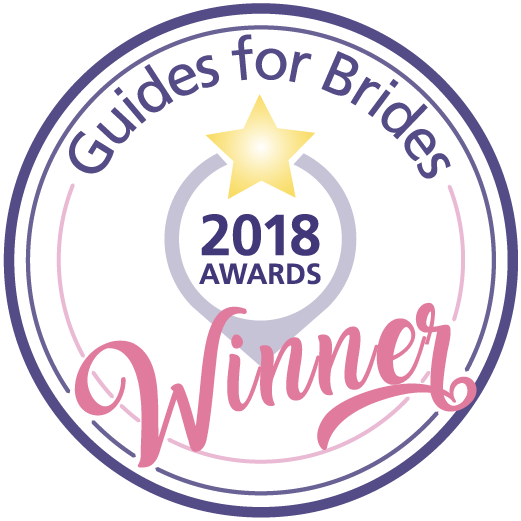 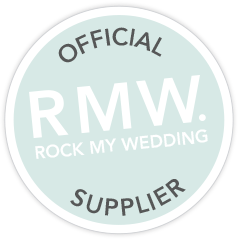 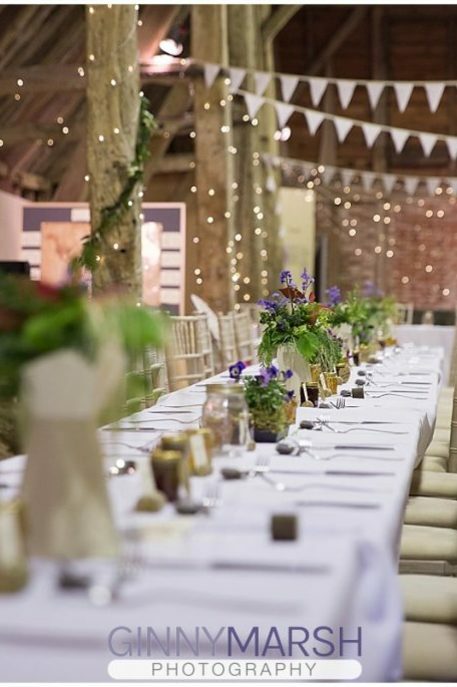 Opting for a relaxed day, they chose a barn venue to complement the music theme and ramped up the entertainment with an awesome David Wickenden, 6-piece Ceilidh Band! 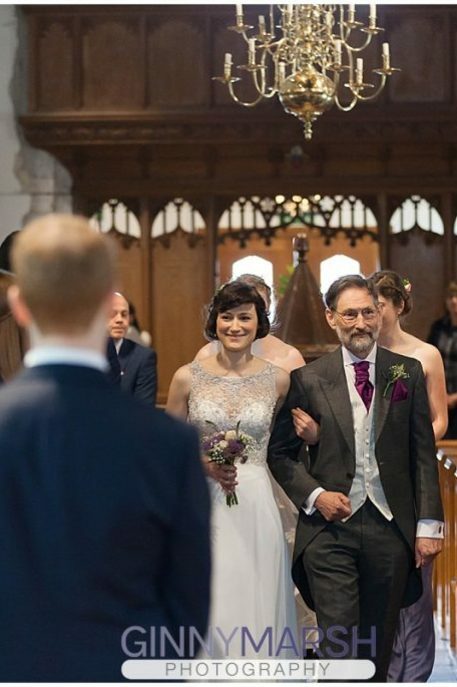 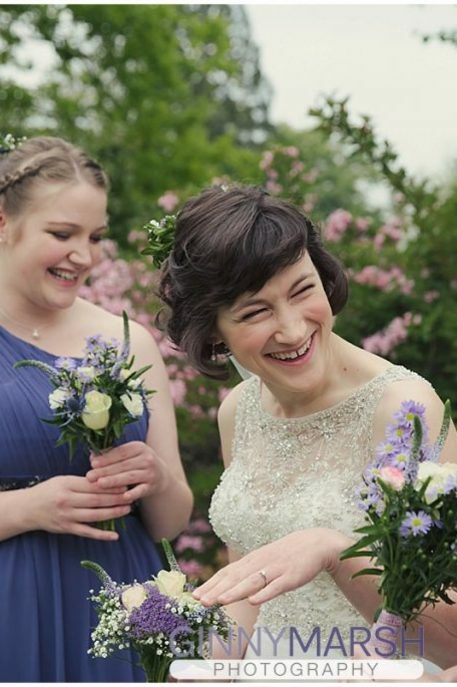 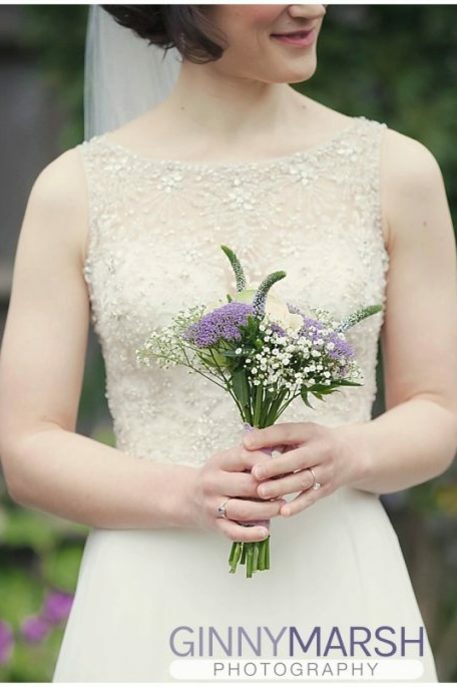 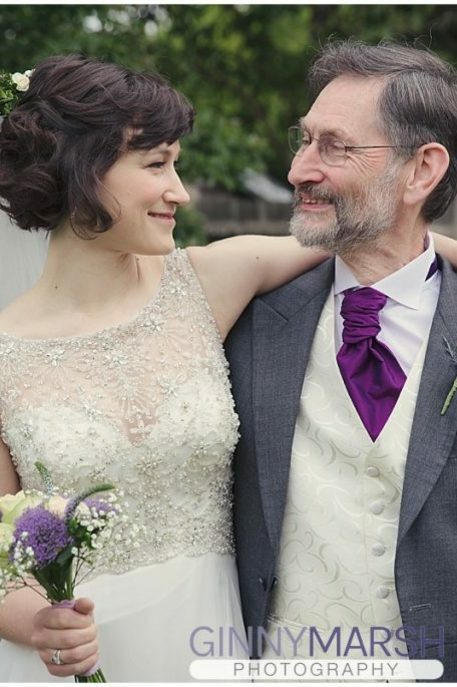 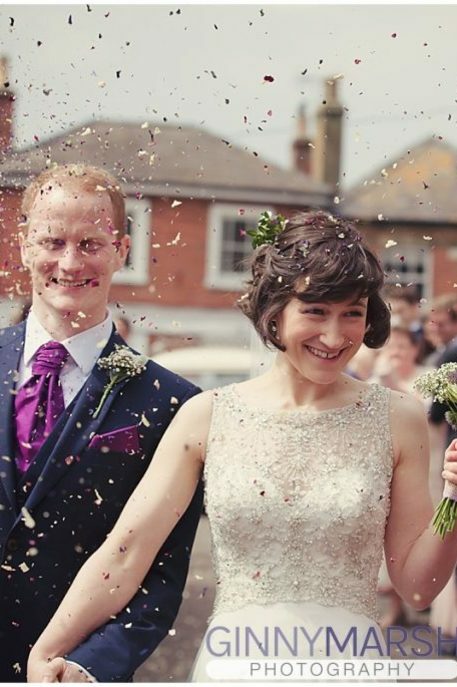 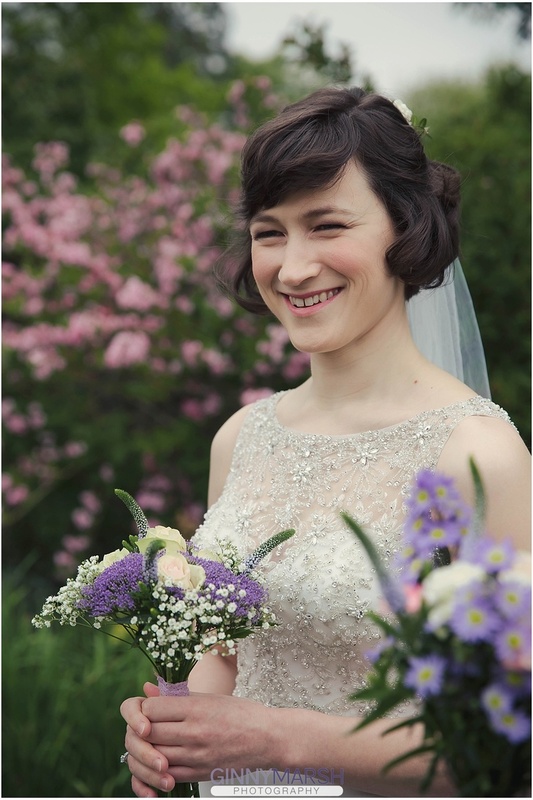 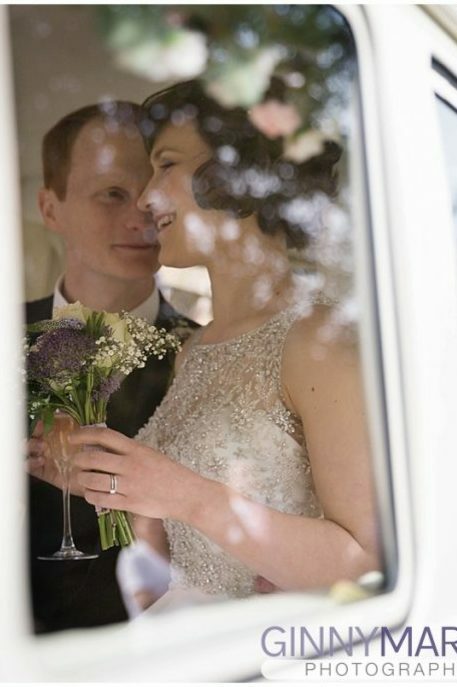 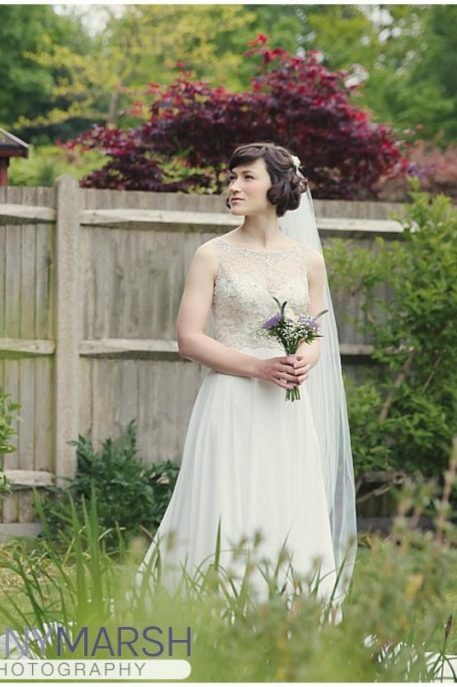 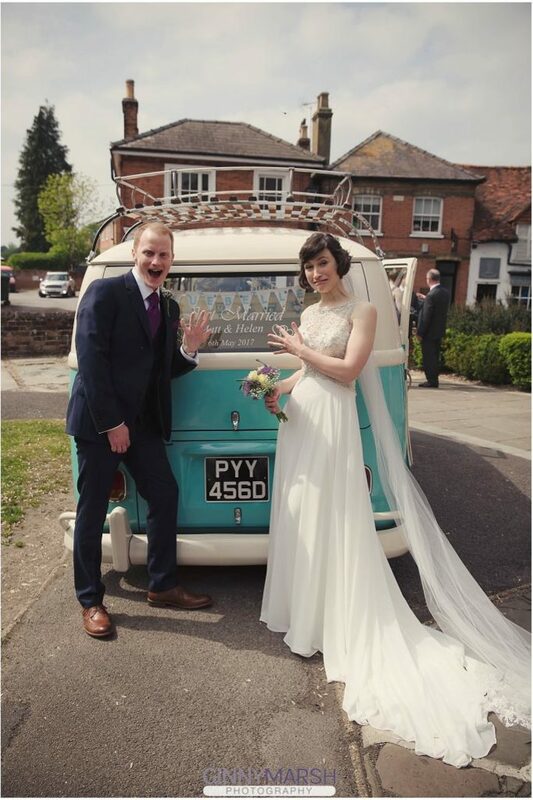 Helen was such a delightful and beautiful bride and she looked absolutely gorgeous in her Diane Legrand gown! 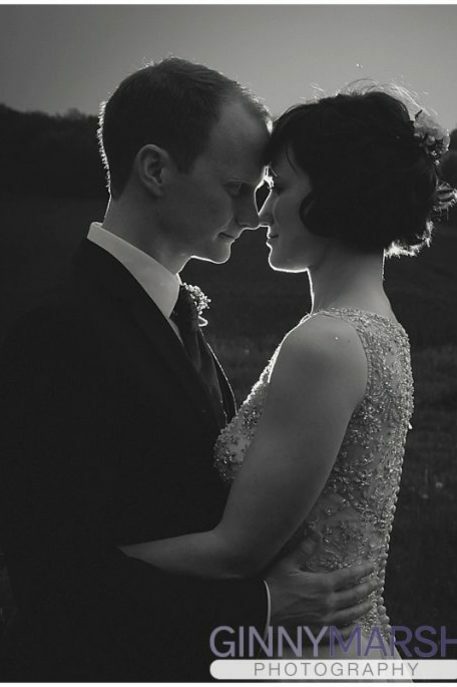 Their big day was beautifully captured by Ginny Marsh Photography. 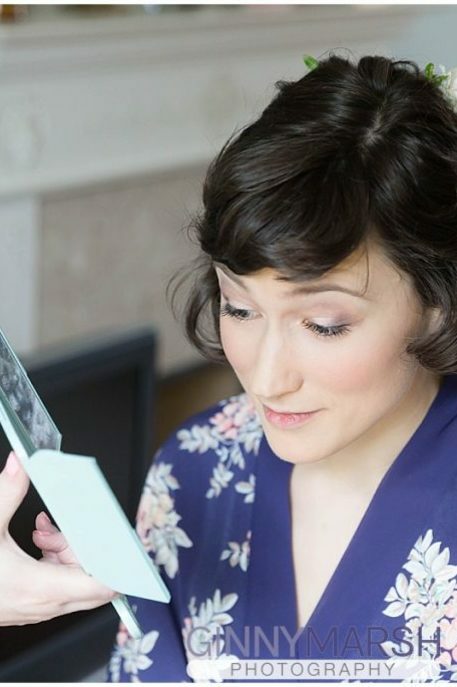 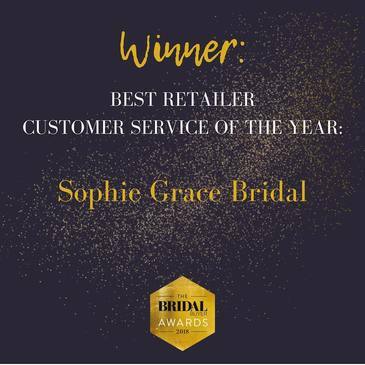 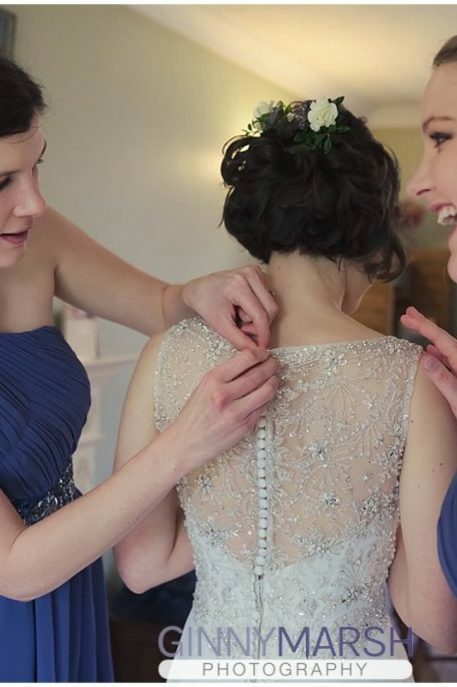 Her wedding looked amazing and we are so pleased that she shared these special moments with us! 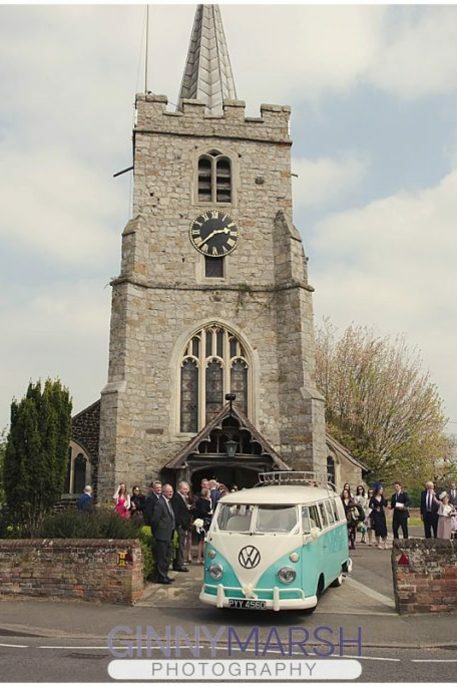 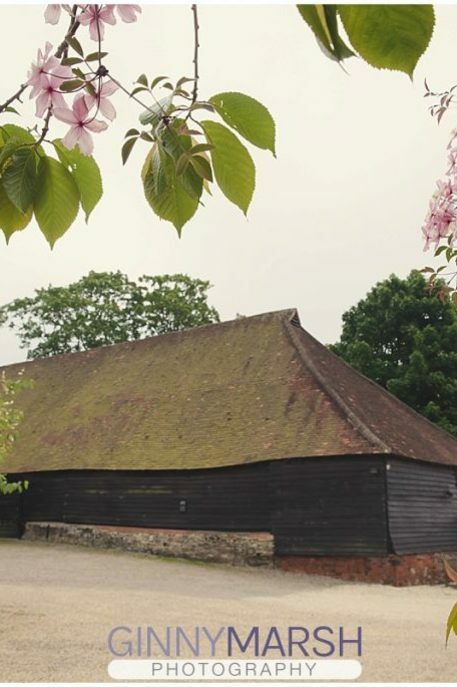 Wedding Venue : Chobham St Lawrence church wedding followed by a barn dance wedding reception at Wanborough Great Barn.